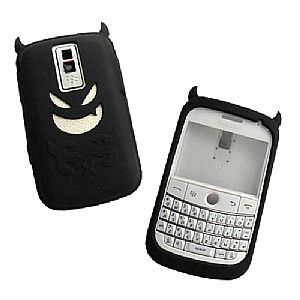 BlackBerry Bold 9000 Silicone Grip Devil Skin Case protects your phone from scratches. Flexible but tough protection. Custom designed specifically for phone for a snug and secure fit. Leaves the connections and buttons easily accessible. ● Lightweight, flexible form-fitting silicone rubber case.